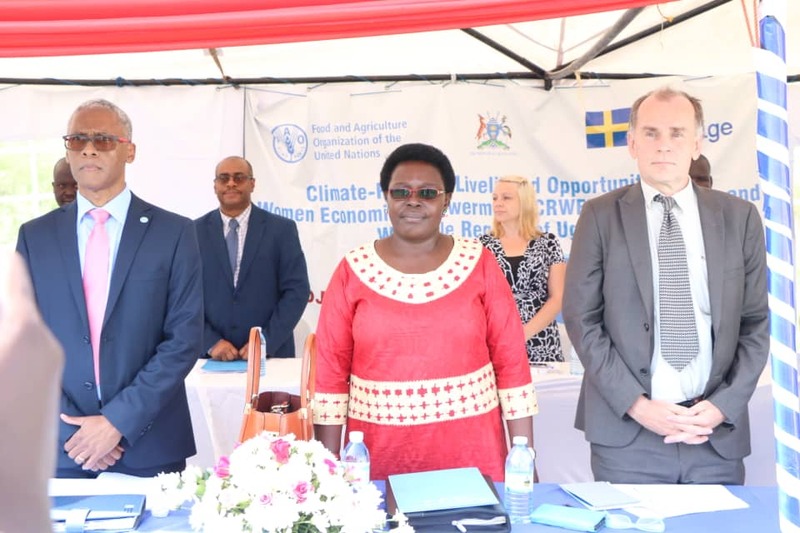 ARUA – Food and Agriculture Organization (FAO) of the United Nations in partnership with Sweden Embassy and government of Uganda have camped in West Nile to equip women on better agricultural methods. Under a five-year mega project dubbed ‘Climate-Resilient Livelihood Opportunities for Women Economic Empowerment’ (CRWEE) in Karamoja and West Nile regions of Uganda, FAO looks at empowering disadvantaged women and youth including those in refugee camps. Through training and capacity building, the project running from October 1, 2018 to September 30, 2023, will address the root causes of gender inequalities and improved access of women to productive resource including land, water, and forests. The project being launched at Muni University in Arua District will be implemented in eight districts in West Nile: Nebbi, Zombo, Arua, Maracha, Koboko, Yumbr, Moyo and Adjumani and four in Karamoja sub-region. They include Abim, Napaka, Moroto, and Nakapiripiriti. Speaking to PML Daily shortly after arriving at the venue, the FAO representative to Uganda Dr. Antonio Querido said FAO recorgonises the importance of gender equality as both a human right and a critical as aspect for the achievement of its the organisation mandate including eradicating hunger and poverty. The project will reach more than 52,500 direct beneficiaries organised in 250 farmer field schools. Of these, the project expects that six out of 10 will be female and 30% of the beneficiaries will be youth. Women living with disabilities and people living with HIV/AIDS as well as school dropouts of working age cohort 14-17 years. The project will strengthen the capacities of national government institutions and district local government for gender-transformative climate change adaptation and mitigation. At the end of the whole day event, FAO will enter into the partnership with relevant government departments, research institutes, Universities, and civil society organizations in the implementation of the project. 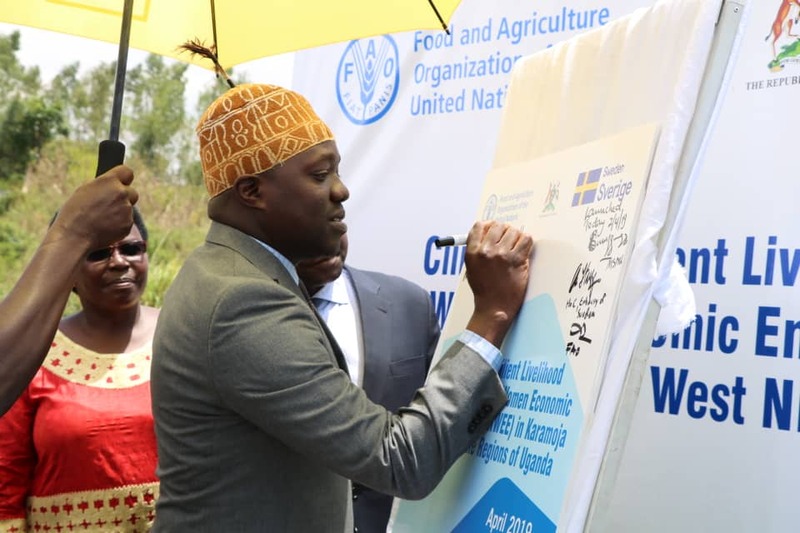 The event is graced by government bigwigs including Ms. Grace Kwiyucwinyi, the State minister for Northern Uganda, chairperson of Parliamentary Forum on Climate Change Mr. Biyika Lawrence Songa, the head of cooperation at the Swedish embassy Mr. Ola Hällgren. Others include religious and culture leaders.